It also possible to use Exchange Powershell. Moreover, with Powershell, we have one more option available: Disable EWS access. ActiveSyncEnabled : Remove access for ActiveSync. ImapEnabled : Remove access for IMAP. EwsEnabled : Remove access for Exchange Web Service. 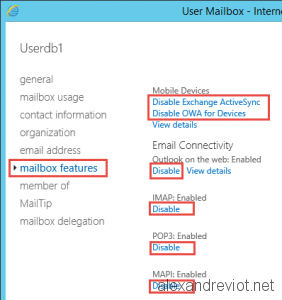 MAPIEnabled : Remove access for Outlook. 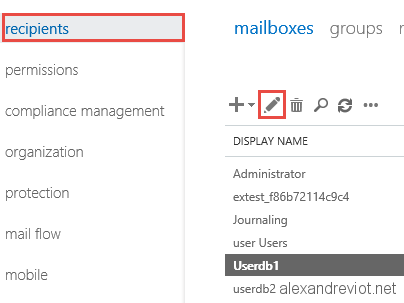 OWAEnabled : Remove access for Outlook Web App. PopEnabled : Remove access for POP. These commands must be run on all CAS Server. 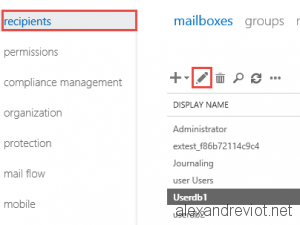 If you want to use Set-CasMailbox with Get-Mailbox, be carefull to not disable the administrator account. You can get more information about the Set-CasMailbox here. This entry was posted in Exchange, Powershell and tagged 2013, access, active, disable, EAC, EWS, exchange, imap, mapi, outlook, OWA, powershell, sync. Bookmark the permalink.